Please feel free to comment on any of the posts at any time and I will make sure that comments are passed onto the appropriate person. I'm grateful to all contributors for sharing their experiences with the readers of this blog and I know that they all value any comments that readers wish to make. 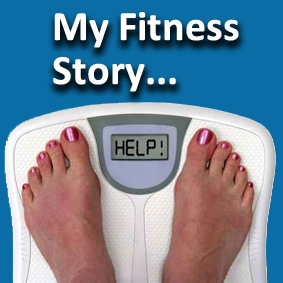 If you would like to write a post for My Fitness Story..., please contact me on Twitter or via the email address on the About me page, and I'll pass on the details that I send to all prospective contributors. Posts can be anonymous, either fully or partly but I can link back to your blog if you have one, or a twitter page if you don't mind being named. Posts are usually published on Thursdays and I'm always looking for new contributions so please don't think I won't feature your story; it is a very broad church. Please do get in touch if you think you have a story to tell. And finally, a big thanks to Garry for making the badge for the series.